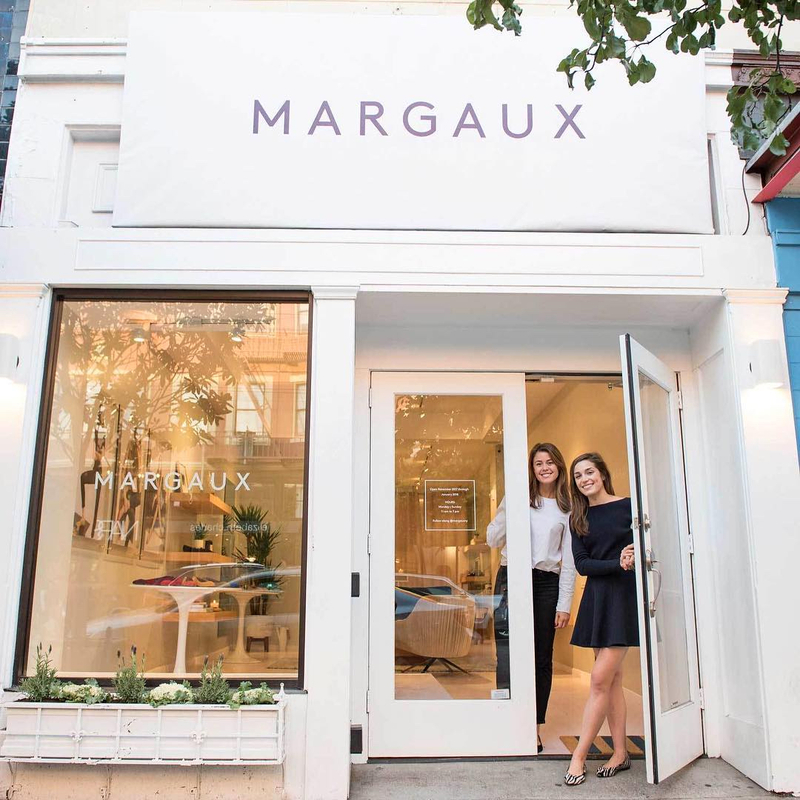 As someone who is equally interested in up-and-coming female-owned businesses as finding the next perfect pair of shoes to invest in, it didn’t take me long to discover Margaux. 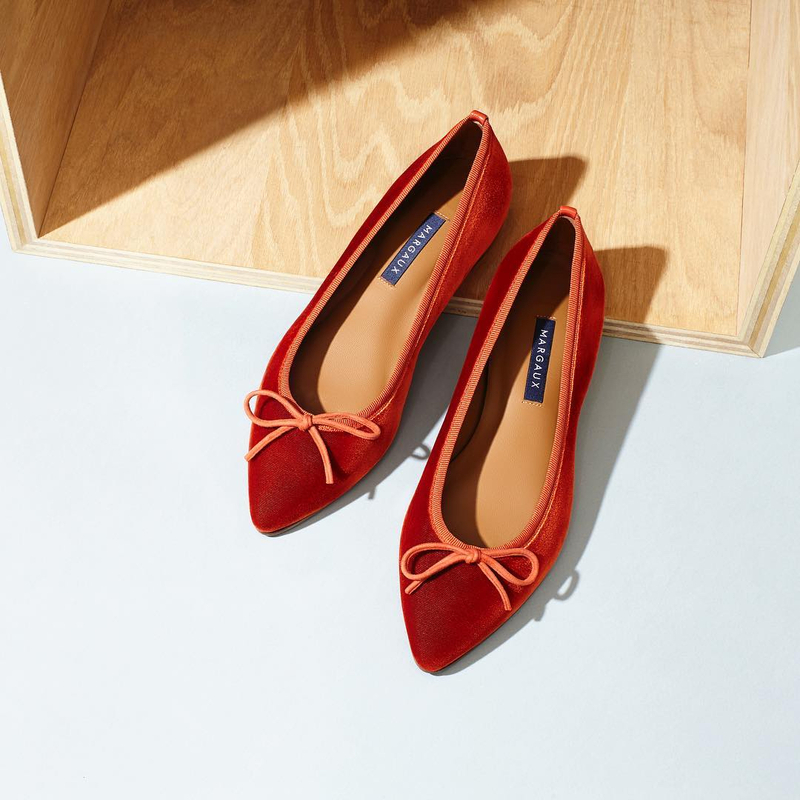 From the classic, willowy-shaped ballet flats and the wide variety of colors the shoes are available in, to the fact that the company was founded by two young women, the story of Margaux was one I found completely fascinating. Alexa Buckley and Sarah Pierson met in 2010 at Harvard University, and became close friends. 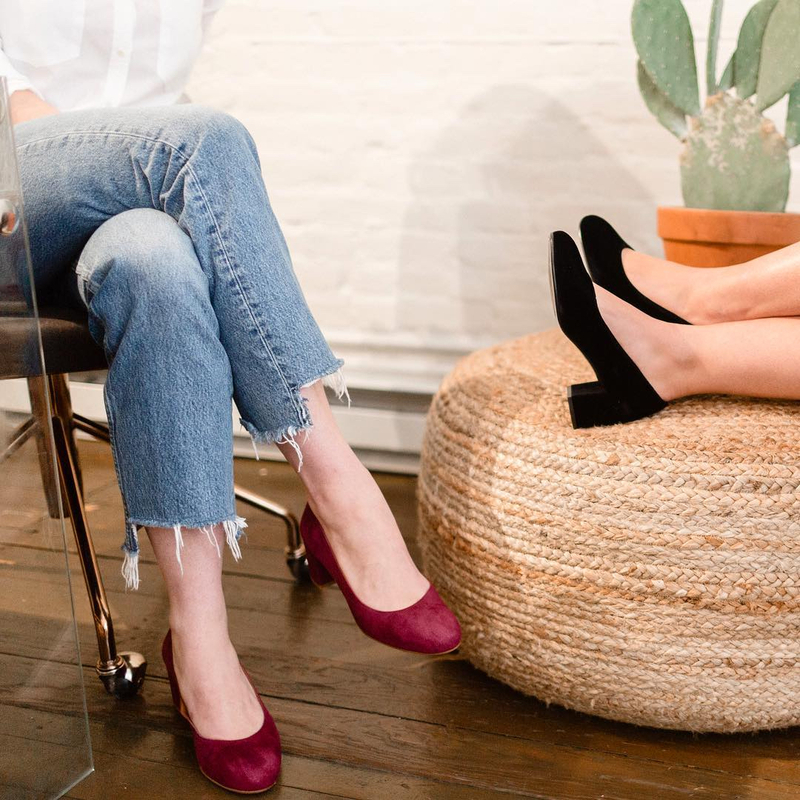 They spent their summers working in consulting and finance, where they became accustomed to the under-the-desk shoe shuffle: Women switching from flip flops to heels when they got to the office, and back to flip flops again on the way out. While others saw the shoe shuffle as just another annoying aspect of their work life, Alexa and Sarah viewed it as a challenging opportunity. Upon their graduation, the two best friends scrapped their job offers to pursue their passion in fashion and to fix the shoe shuffling problem they had seen firsthand. After an extensive search for the perfect manufacturer, Margaux was born using a problem-solving approach to equip ladies with comfort, highlighting size inclusivity, while not discarding style. As stated on their website, recent studies have shown that 88% of women wear the wrong shoe size, either in length or width. Moreover, most people’s feet are not the same size, a reason why Margaux offers made-to-measure options (with an accessible price!). Today, the collection has expanded to heels, ankle boots, and sandals. Forbes and Vogue have taken notice of them. 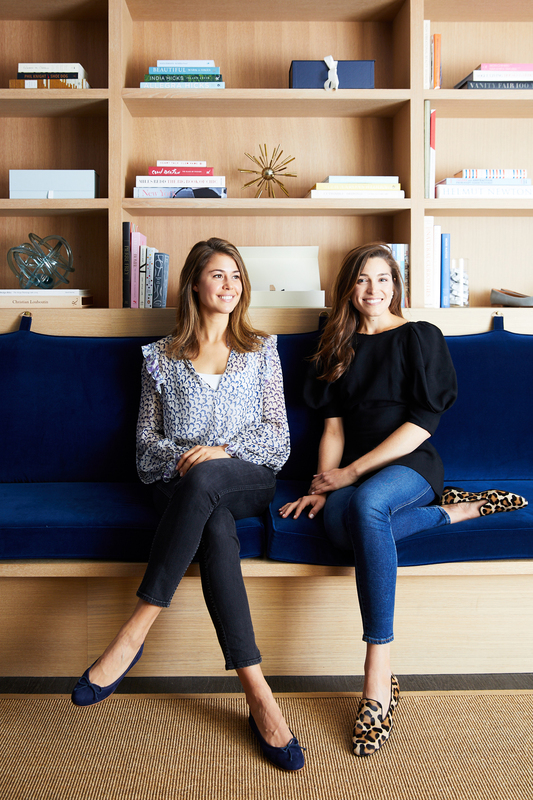 We decided it was time we learned more about the comings and goings of Margaux, how the history-graduate duo became fashion entrepreneurs, and the founders’ take on the future of fashion. HOW DO YOU GUYS KNOW EACH OTHER AND HOW DID THE IDEA OF MARGAUX COME ABOUT? We met in the Fall of 2010, our Freshman year at Harvard, and became fast friends. We both studied history and government, and lived together sophomore through senior year. After spending summers in the corporate world, we had time senior year to step back and think about life after graduation. We thought about becoming this “modern woman” – about who she was and how she carried herself. After our past internships, we were all too familiar with the under-the-desk shoe shuffle. We were convinced that there should be (and could be) a shoe that combined form and function, and ensured that a woman could feel dressed and beautiful – while remaining comfortable – all day long. From here we set out to create the perfect ballet flat: A shoe that could take you any place you want to go, with confidence and chic. WHAT WERE SOME OF THE CHALLENGES YOU FACED STARTING A BRAND FROM SCRATCH? Footwear industry experts thought we were crazy when we told them that we wanted to disrupt entire factory lines in order to reactively produce our custom shoes. In an industry that has been largely unchanged in the past 50 years, this idea was not met with overwhelming enthusiasm at the outset. Nevertheless, we were fortunate enough to meet two people who have believed in our vision, and joined our relentless quest to find a manufacturing partner willing to take a chance on us. We were ultimately successful in this search, and problem-solving mentality of this product duo remains one of our greatest assets as team. Today, we offer a range of sizes (both in width, length, and custom options), that our customers can’t find anywhere else. We are starting the conversation of size inclusivity in footwear, and have leaned heavily on our incredible factory partners to achieve this goal. HOW DID YOU PICK WHO TO OUTSOURCE FROM? Our shoes are made of Italian leather at a family-owned factory in Spain, which produces for some of the most covetable brands in the world. We chose Spain for its history of craftsmanship and for the incredible partnership we found in factory and owner family who took a chance on us during our first trip to Spain four years ago. WHAT DO YOU THINK THE FUTURE OF FASHION WILL LOOK LIKE? We believe that e-commerce is a sales channel and that the future of retail will look like a blended approach of online and offline in an effort to meet customers where it’s most convenient for them, in a space (whether digital or physical) that allows them to step into a brand’s world and immediately connect. We also believe strongly in creating products that solve problems. We’ve found that principle is absolutely crucial in allowing you to rise above the noise and build a lasting brand. 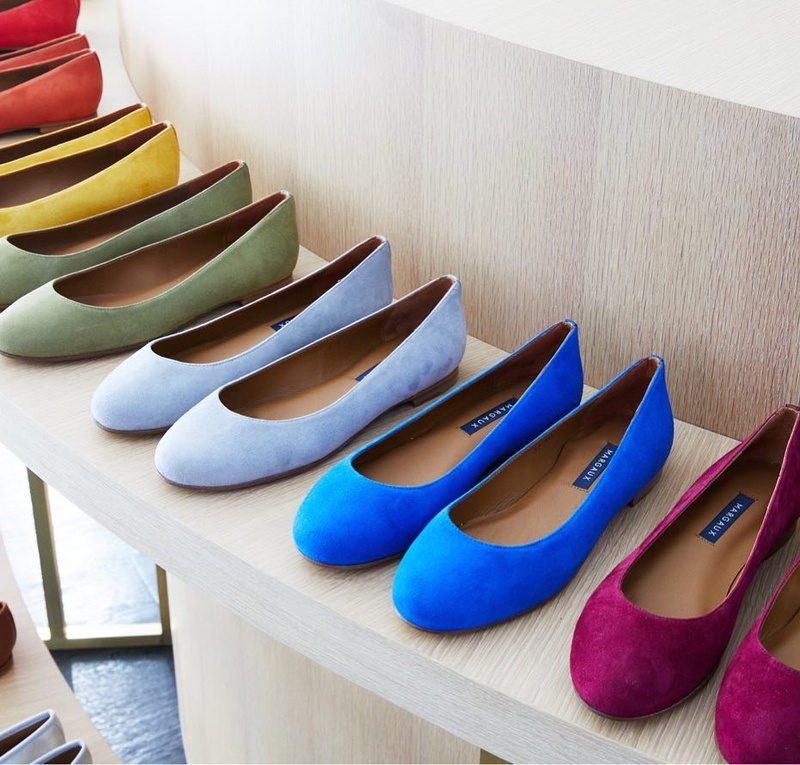 For Margaux, it’s creating expertly fitting shoes. This focus enables us to add value for our customers in ways that didn’t exist, and develop an intense- ly loyal customer base as a result. The most successful brands will be made up of some mixture of these three ingredients: a unique product, a powerful ability to emotionally connect with your customer, and a nuanced approach to distribution. WHAT DO YOU HOPE TO ACHIEVE WITH MARGAUX IN THE NEAR FUTURE? 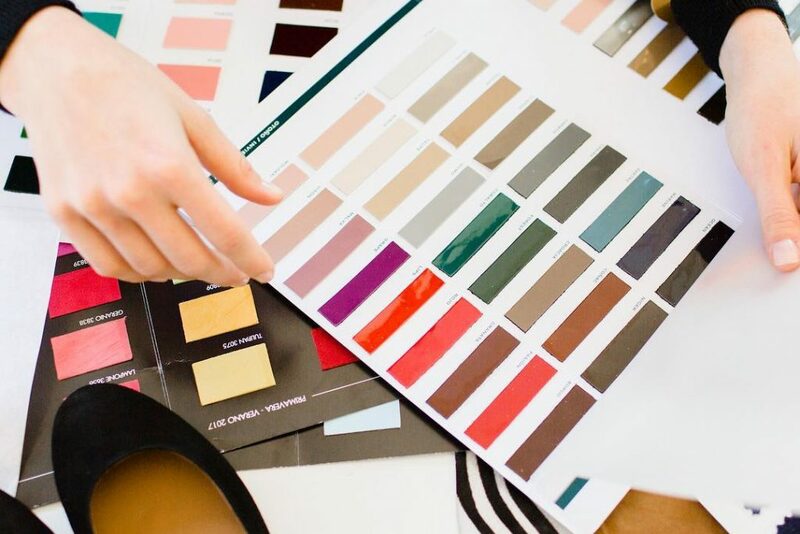 We hope to be the size inclusive footwear authority for today’s modern woman, disrupting the footwear market one silhouette at a time – enabling our customer to rethink the way they shop for shoes by providing them with options they cannot find anywhere else. 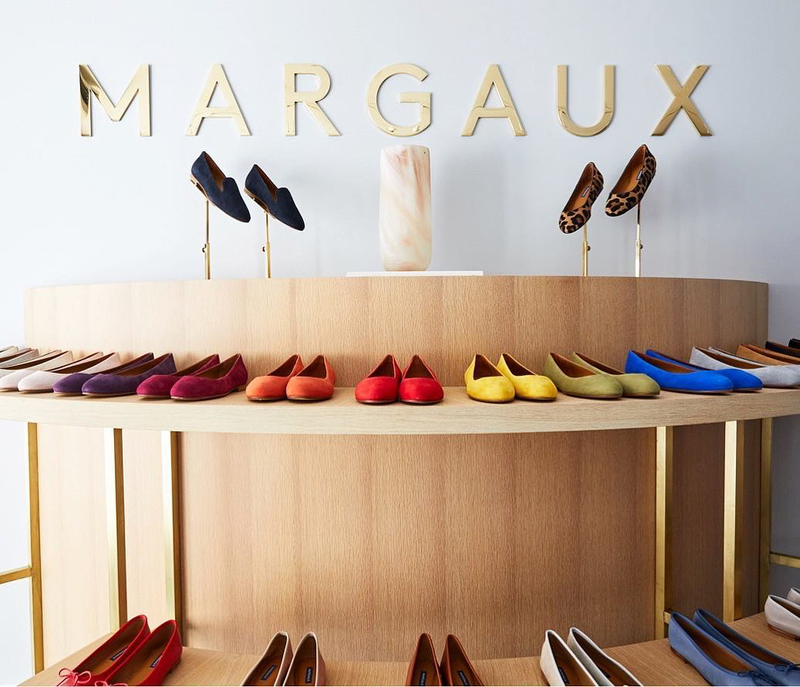 At other shoe boutiques, the shop assistant may ask “what size do you wear?” At Margaux, they would say “what size is your foot?” Now you know where to shop for a versatile pair of shoes crafted just for your comfort. Different cultures and traditional paintings are the two major sources of inspiration for Notre Monde, a distinctive furniture, lighting and home accessories studio based in the US. Mezzanine, a new lifestyle store in the heart of Saint-Germain-des-Prés is founded by French couple Edson and Liza Pannier. As the story of the property and the ongoing renovation started to get picked up by the press, people from all over asked if they could come stay.